Hilton Head Island, SC - - Professional Tennis Registry (PTR) presented its annual awards last night during the 2017 PTR International Tennis Symposium. The event, which includes more than 40 educational presentations for tennis teachers and coaches, is underway through February 18, on Hilton Head Island, South Carolina. 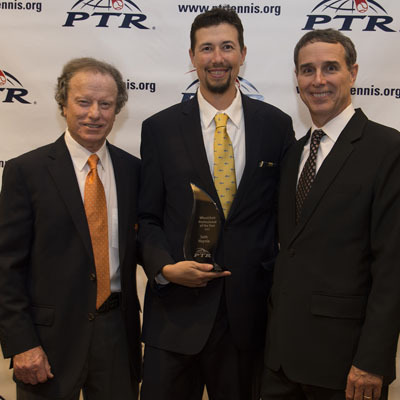 Seth Haynie, of Phoenix, Arizona, has been named PTR Wheelchair Professional of the Year. A 17 year member of PTR, he is certified in two of the organization’s education pathways, and serves as a wheelchair tennis clinician. He has taught at numerous locations in and around the United States. Haynie studied Kinesiology & Exercise Science at University of Hawaii, while playing for the Vulcans. He is dedicated to continuing education for himself and others on the evolution of tennis and current research in professional methods. Over the years, Haynie has trained thousands of students, both young and old, performance and recreational. His primary focus, however, is wheelchair tennis. He organized and conducted three PTR Instructing Wheelchair Tennis Workshops, two player's training camps, presented on wheelchair tennis at the 2016 PTR International Tennis Symposium, and directed a second annual USTA wheelchair tournament. Haynie offers several Wheelchair and Run/Roll Clinics, and training programs for visiting players every week. Haynie is working with the Billie Jean King Eye Coach group to develop training methods for wheelchair students, as well as the Johnson & Johnson Human Performance Institute program to develop an appropriate wheelchair variation for 16-second cure. Haynie has created and managed three tennis businesses since 1999, and is currently working on creating a non-profit dedicated to integration of wheelchair tennis players into stand up programs through education of industry professionals. 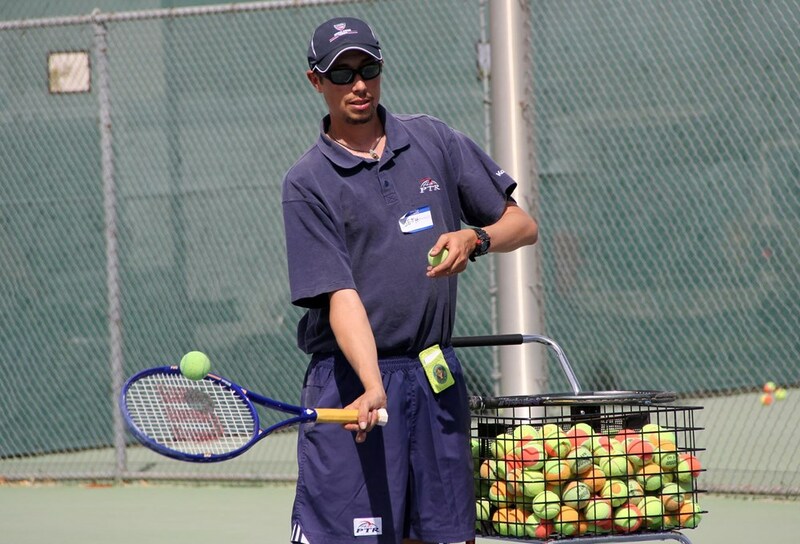 In addition to teaching tennis, he is serving as the Chair of the USTA Southwest Wheelchair Tennis Committee in both his district and section. Haynie's goal is to increase participation in wheelchair tennis worldwide by sharing his knowledge and expertise with physicians, facility directors, tournament directors, and most importantly, fellow teaching professionals.